Drug and alcohol rehabilitation needs vary from one location to the next, largely due to variance in the types and magnitude of drug and alcohol problems that exist within a particular region. This article provides an introduction to drug and alcohol issues experienced in North Highlands, California. Geographical information that may be relevant to drug and alcohol abuse rates are discussed first, and then consideration is given to the area’s drug of choice based on a review of recent arrest and overdose records. The issue of rehabilitation is then discussed, and opportunities for receiving treatment for residents of North Highlands, California are outlined. If you live in North Highlands, and have fallen victim to substance abuse don’t hesitate to seek treatment. There are enormous resources in at your disposal. North Highlands, California is a small, consensus-designated location in Sacramento County with an elevation of just 100 feet. The total area is nearly nine square miles and residents of location enjoy a summery and Mediterranean climate. Located near the much larger urban region of Sacramento, North Highlands is an escape from some of the noise and dangers that accompany a big city. The population of North Highlands is 43,376 according to the most recent US Census results. The population density is nearly 5,000 per square mile and is approximately 63% Caucasian. African American residents make up just over 11% of the population, followed by 11% Hispanic or Latino and 5% Asian American. North Highlands enjoys low rates of homelessness, which more than 99% of the population living in households. With regards to age, nearly 28% of residents are under the age of 18, while 12% of between 18 and 24, and 27% are between 25 and 44. Approximately 11% of residents are aged 65 and older. The median age is 32 years of age, and there is a slightly larger contingent of females living in North Highlands than males. The city has been lauded for its racial diversity, with many residents giving A+ residents based on the ethnic variance in the region and more than 55% describing diversity as the distinguishing characteristic that is associated with North Highlands. North Highlands has also been acclaimed for its privacy, particularly in comparison to Sacramento. The median household income in North Highlands is just over $39,000, which is substantially lower than the national media of approximately $55,000. Income level appears to be related to education in the area, as less than 10% of residents have Bachelor’s degrees and just 4% have advanced degrees of some form. Approximately 40% of residents have attempted some college, but not completed a degree. The unemployment rate in North Highlands, California is just less than 6%, which is slightly higher than the national rate of about 5%. The poverty rate in the area is about 27%, or about 11,700 residents. This is also higher than the national poverty rate of between 13 and 14%. Approximately 12% of residents are not citizens of the United States. Because of its higher rates of poverty and its proximity to a large urban area, North Highlands is exposed to some increased risks in its communities, including crime and drug use. However, nearly half of residents describe North Highlands as reasonably safe and free of crime. Additionally, nearly half of residents believe that the police are visible and effective. Nevertheless, police in the area have been criticized for slow responses, likely due to high rates of crime in some key categories. Each year, per 100,000 residents, there is an average of more than 400 violent crimes. These include approximately 283 assaults, six murders, 41 rapes, and 136 robberies for every 100,000 residents. In addition, there are more than 2,700 property crimes to residents of North Highland per 100,000 individuals. These include 500 burglaries, 2,043 thefts, and 284 motor vehicle thefts. Crimes and activities directly impacted by drugs and alcohol primarily include driving under the influence (DUI), drug possession or distribution, and overdose. Because North Highlands is a census-designated location and not an officially recognized city, its crime statistics are grouped in with the broader Sacramento metropolitan area. Additionally, California state data offers some insight into drug and alcohol related crime and activities in North Highlands. Evidence suggests that crimes involving drug and alcohol abuse most directly impact family members closely involved in the lives of those who use. The broader community of North Highlands begins to experience the effects of this trend when crime becomes violent in nature. Drug-related crimes in Sacramento are slightly lower than the rest of California, but remain higher than the national average. The peak number of arrests for substance abuse crimes occurred in 2006, when nearly 11,000 residents were brought to jail cells for such activity. The majority of arrests involve men between the ages of 10 and 69 (i.e., 76%). However, less than 70% of inpatient treatment admissions involve males, suggesting that there is a significant unmet need to provide the drug and alcohol treatment to males in the community. There were more than 180,00 arrests for DUIs in Sacramento in 2016, the last year in which data for this statistic was made available. This amounts to about one DUI arrest for every 21 drivers in Sacramento. In addition, more than 3,700 California state residents die each year in fatal car crashes and more than 1,200 (32%) are causes by alcohol. Fortunately, the number of fatal accidents involving drugs and alcohol in the state of California has reduced markedly since 1988, when this total was more than 18,000. Approximately 75% of these cases are believed to be attributable to individuals with alcoholism. Of all the primary offences by males in the Sacramento area from 2000 to 2002, DUI was the third most common at 8%. Sacramento County ranks 21st in the country in arrests related to DUI. The county is also 57 in the nation in deaths resulting from accidences while driving under the influence. Once again, data on drug possession rests specifically for North Highlands, California are not available and the prevalence of drug possession in the location must be inferred based on trends in the broader Sacramento metropolitan region. There are about 50,000 total arrests for all crimes in Sacramento County each year, with 80% being male. Based on a survey of data from Sacramento County jails, a profile of the most likely drug possession and distribution offender could be developed. Specifically, the typical profile of a drug possession or distribution offender in this area is 31, not white, likely to have completed at least high school, somewhat likely to be employed part or full time, somewhat likely to be single and never married, not likely to be homeless, not likely to have health insurance, not likely to have ever been an inpatient in a treatment facility, somewhat likely to reside in the downtown area of Sacramento, very likely to have a positive illegal drug test, and somewhat likely to repot heavy alcohol and marijuana consumption. Furthermore, drug offenders in the area are very likely to have prior arrest records, somewhat likely to have been arrested in downtown Sacramento, equally likely to have been previously arrested for another misdemeanor, and very unlikely to have been arrested for a violent crime. A total of 48% of all drug offenses are attributable to whites, 30% to blacks, 17% to Latinos, 4% to Asian Americans, and just 1% to Native Americans. There is a higher prevalence in drug offenses in those who are high school graduates than any other educational category. Drug offenders most frequently report marijuana usage, followed by heavy alcohol consumption, methamphetamine usage, crack or cocaine, and heroin. Drug offenders are at highest risks of subsequent drug dependency, alcohol dependency, drug abuse, and alcohol abuse. Of all primary offenses by males in the Sacramento area from 2000 to 2002, drug possession was the most common at 16%. Probation and parole violation was the second most common at 12%, followed by spouse or partner abuse at 8% and public peace disturbance at 7%. Hospitalizations resulting from substance abuse offer some indication of the rates of overdose that occur in the area. In Sacramento, the rate of hospitalizations due to drugs and alcohol is lower than in years past. The rate of hospitalizations for substance abuse in the state was 205 per 100,000, while this rate in Sacramento County was just under 170. These estimates led to the belief that there are about 2,300 overdoses in Sacramento County each year that require hospitalization. About 38 percent of cases involve males, and 36 involve females. In as much as 25% of cases, gender is unknown. Additionally, evidence has shown that there are about 32 deaths per 100,000 residents resulting from drug and alcohol overdoses in Sacramento County each year, compared to just 21 in the remainder of California. While statistics are not available explicitly for North Highlands, CA, these findings illustrate the increased risk of overdose and death that likely exist in the area. Of these figures, about 64% involve males. Of the nearly 400 cases of drug-and-alcohol related deaths, about 160 involved overdoses and nearly 130 involved alcohol-induced liver disease. The remainder involved psychological dependence, alcohol poisoning, and intentional overdose. 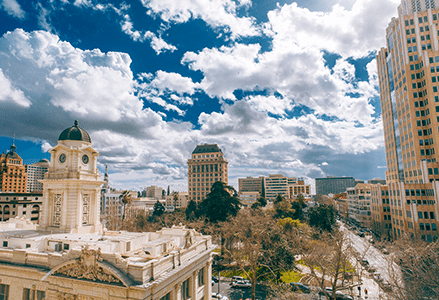 While data is not available explicitly for North Highlands, drug and alcohol consumption data from the broader metropolitan area of Sacramento offer some insight into North Highland’s exposure to these problems. This evidence suggests that, like many other areas of the country, residents in the Sacramento metropolitan area are demonstrating higher rates of substance use. This information is typically inferred based on combining are indicators of substance abuse, such as treatment facility admissions, arrests involving alcohol and drug related activities, the volume of motor vehicle accidents that involve drugs or alcohol, total hospitalizations, and total deaths. Although there is no evidence available specifically for North Highlands, CA, evidence from Sacramento Country suggests that the area has historically faced its biggest challenges in combatting methamphetamine use. However, marijuana has become the leading reason residents of Sacramento County seek treatment for substance abuse. This contrast to the remainder of the country, where alcohol still remains to biggest contributor to seeking help for substance abuse. Nearly two decades ago, approximately 26% of inpatient treatment admissions were a result of methamphetamine abuse. This was followed by 6% pertaining to heroin, 5% to all other drugs, 4% to cocaine, 2% to alcohol, and 1% to marijuana. Not only have these figures changed drastically, but they also differ markedly from trends that are observed in the remainder of the country. Marijuana is not the most common contributor to seeking substance abuse treatment in Sacramento, which differs from the remainder of the nation where alcohol is the leading cause. There is some evidence that ethnicity plays a role in substance abuse rates for residents of communities in Sacramento County, like North Highlands. Nearly half of cases of substance abuse in the area involve individuals of Caucasian descent. African Americans account for about 245 of substance abuse cases, while Hispanics represent 22% of all cases. Additionally, there are age differences in substance abuse rates. Close to half of all inpatient treatment facility admissions involved adults between the ages of 25 and 44, while the second largest group comprised minors (i.e., under the age of 18). The age demographic category contributing to the least amount of cases involved adults aged 65 and older. These rates illustrate where law enforcement officials and drug and alcohol treatment providers should be focusing the majority of their efforts when considering the needs of North Highlands, California community members. Approximately 30% of California residents report engaging in binge drinking, with the Sacramento area showing slightly higher rates. In North Highlands, city data suggests that more than 12% of the population reports not drinking any alcohol. This figure is higher than the state of California’s rate of 11.4%. Sacramento County is 33rd in the nation in incidence of binge drinking. Additionally, the city is 6th in the nation in rates of liver disease. Therefore, it is clear that Sacramento County, and likely North Highlands as well, experience higher risks associated with alcohol consumption than most residence of the nation. As a result, there is clearly a need for a greater focus on prevention and rehabilitation for those with particularly high risks of alcoholism. While rates of drug abuse and alcoholism have increased in recent decades, this trend is beginning to reverse, which may be a testament to the introduction of several rehabilitation opportunities within Sacramento and nearby North Highlands and also the enhanced knowledge of drug and alcohol recovery. Specifically, it was found that the greater Sacramento area has experienced a nearly 30% reduction drug alcohol and drug related admissions to hospitals over the past six years. This reduction seems to suggest that treatment and prevention efforts in the area are beginning to be effective. This is largely underpinned by the contributions of inpatient and outpatient treatment centers that are growing increasingly accessible to members of smaller surrounding communities like North Highlands. However, national data shows that only about 11% of individuals with reported drug and alcohol abuse problems receive the help they need. Fortunately, there is some hope for current and future generations of North Highlands and Sacramento County residents. Trends suggest that progress has been made with regards to developing treatment centers and providing care to individuals in the area. Furthermore, there has never been more access to information pertaining to treatment centers and data on the effectiveness of individual centers and therapeutic approaches. There is one nation hospital and medical center in North Highlands, in addition to eight specialty clinics. There has been a positive trend in Sacramento County with regards to drug and alcohol treatment, particularly in inpatient centers. While just less than 6,000 Sacramento residents entered inpatient treatment facilities for substance use issues at the turn of the century, this rate has increased to nearly 9,000. More than half of patients who are treated in inpatient facilities for drugs and alcohol are women, though trends suggest that this difference is diminishing over time. There were just 23 people reporting to have lived in halfway homes for drug and alcohol dependency in 2000, though this number has increased. Fortunately, the public is increasingly recognizing inpatient treatment as an important contributor to rehabilitation and the prevention of further activities that are detrimental to the community. In many cases, extended medical supervision is needed to facilitate and guide the rehabilitation process and to oversee the detoxification phase (see below). Because most patients who require inpatient care for drug and alcohol abuse do not receive treatment, an enhanced effort is needed in North Highlands, California area to raise awareness of available services for residents and also the impacts of drug and alcohol use on the community. Inpatient care can either take the shape of a residential treatment center or partial hospitalization treatment. The former involves full-time resident in a licensed and clinically supervised environment, while the latter serves as a more comprehensive variation of outpatient care where full-time supervision is not needed. A detoxification period is critical to eliminating chemical dependency on a substance during the initial stages of rehabilitation. Particularly in the case of alcohol, toxins must be removed from the body’s metabolic system to prevent dependency and withdrawal effects that may eventually contribute to relapse. This process involves a medical professional supervising the patient during a period in which toxins are removed in a clinical environment. This process elicits the possibility of psychological and physical distress, and inpatient facilities in North Highlands, California are well equipped with contemporary knowledge and technologies to assist patients through the detoxification periods. Outpatient care is an essential component of long-term rehabilitation from drug and alcohol abuse. All patients will eventually undergo outpatient care, regardless of whether or not hey have engaged in inpatient care and detoxification. Outpatient care is designed to provide patients with the tools and skills they will need to successfully integrate with the community and to avoid those factors that may contribute to relapse and further problems with drugs and alcohol. There is less supervision in outpatient care and the patient must be more independent and self-directed in this environment in order to fully rehabilitate. Approximately 10 hours a week of outpatient care is typically performed during the initial weeks following inpatient care in order to help provide patients with support as they adopt more independent lifestyles. Prior to entering inpatient or outpatient care, a determination of those factors most directly contributing to the necessity for care is needed. Assessment begins with a patient interview and administration of a battery of self-report instruments in order to ascertain the nature of the patient’s alcohol and drug abuse issues and to make eventual referrals and recommendations for care. The completion of these instruments required honesty and authenticity on the part of the patient in order to effectively direct rehabilitation. This instrumentation can also be combined with observations by clinicians or chemical addictions professionals in order to make a comprehensive and accurate diagnosis of the substance abuse disorder. Assessment consists of both pre-intake and intake. Pre-intake, or pre-enrolment, is the first step in gaining a comprehensive understanding of the patient’s eventual rehabilitation needs. This process involves the completion of additional instrumentation beyond that of the assessment to gain a more precise understanding of how to engage in recovery. Information yielded from the initial assessment and pre-enrolment then can be used to complete the final step of the intake process and to make a determination about whether or not inpatient versus outpatient care is needed and if detoxification will play a role in recovery. Following the initial assessment and pre-enrolment, intake then takes place. This process includes a more comprehensive interview to inform the diagnosis that is made about the patient’s substance or drug abuse problem. Another important component of this process is to prepare the patient for engagement in rehabilitation and recovery. This includes a clarification of alliances within the treatment and to inform the patient about the nature of her or his substance abuse. This process also allows for a discussion of any barriers that may be faced throughout the course of care. Finally, this stage of the intake process enables the specialist to act in the event that an emergency occurs and also to make a determination about the patient’s eligibility for different care options based on substance needs and resource availability. After care is an often overlooked, but extremely important aspect of long-term recovery for drug or alcohol addiction. This stage occurs following the final step of the main rehabilitation care plan and once the patient has exited this care environment. After care is available in order to aid patients in coping with stresses and contributors to drug and alcohol use that previously led to their consumption. Additionally, after care is intended to provide patients with the skills they need to live free of substance use and to prevent relapse. Furthermore, after care can help provide patients with a sense of purpose apart from drug and alcohol use. Finally, after care provides a professional support network to the patient so she or he has ongoing access to rehabilitative services that will be critical to preventing relapse longitudinally. 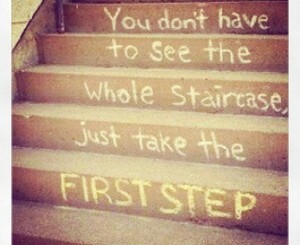 The final stage in the rehabilitation and recovery process with respect to drug and alcohol usage is sober living. This term pertains to a set of core values and principles that patients need in order to live free of any chemical dependency and to achieve purpose without drug or alcohol usage. This philosophy requires a lifelong commitment by patients to live free of substance usage. There are many community resources to assist in promoting a philosophy of sober living in patients recovering from drug and alcohol abuse. These include outpatient treatment centers and transitional homes aimed to provide additional support and supervision as a means to prevent factors that contribute to relapse before they begin. These resources help to ensure continuity in the patient’s care and prevent sudden stressors or disruptions in the patient’s life from resulting in drug and alcohol use or criminal activity. In each type of facility found in North Highlands, professionals are licensed and certified and skilled in supporting patients with a diverse range of drug and alcohol recovery needs. The aim of this article was to provide an overview of factors contributing to drug and alcohol abuse in North Highlands, California. Because of its proximity to Sacramento and its low median income, North Highlands is exposed to some increased risks of drug and alcohol abuse, as well as related criminal activities, in comparison to the national average. However, the area has demonstrated progress in providing rehabilitation and recovery services to community members, and also reducing rates of drug and alcohol use over time. Residents have many inpatient and outpatient options at their disposal in order to promote a drug and crime free community.